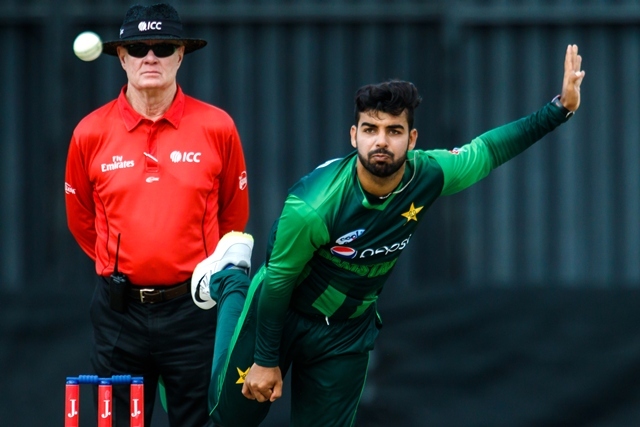 Pakistan suffered their first defeat in a T20I series after 11 series wins when they recently lost 2-1 to South Africa but the Men in Green have kept their position at the top of the T20I rankings. The series defeat did mean that Pakistan lost three points and now have 135, with South Africa gaining four points and climbing into third ahead of England and Australia. Second-placed India also lost two points, meaning that Pakistan are still comfortably ahead of the chasing pack with a massive 11-point cushion at the top. All-rounder Imad Wasim, who was superb in the powerplay overs throughout the series, moved up five places into fourth. Imad’s new-ball partner in the South Africa, Shaheen Shah Afridi, climbed up a whopping 28 places to a career-best 48th. Imad is now just one spot behind Shadab Khan, who slipped into third as Indian spinner Kuldeep Yadav moves into second. Fellow all-rounder Faheem Ashraf also suffered in the rankings and fell a spot into ninth. Despite the three all-rounders’ presence in the top 10 T20I bowlers, none of them managed to break into the all-rounders top five list. There was some good news for Pakistan players as well though as star turn Babar Azam kept his spot at the top of the batsmen’s rankings. Fakhar Zaman had an indifferent tour of South Africa and slipped down one spot into sixth, with Australian power-hitter Glenn Maxwell leapfrogging him.